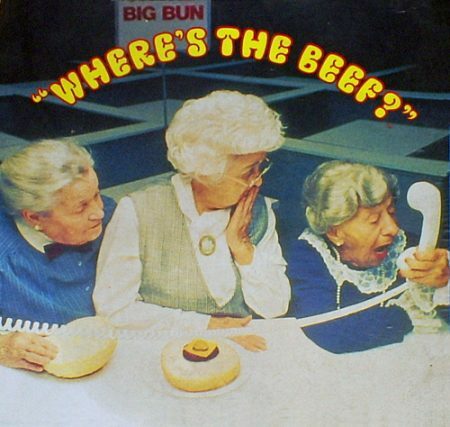 When It Comes to the Infrastructure Plan, We Ask: Where’s the Beef? President Trump’s visit to Ohio at the end of last week to promote his infrastructure plan left us revisiting the emotional rug-pull of the plan’s original unveiling. As a child of the ’80s, I had the classic Wendy’s ad leap into my mind. From small towns to large states, municipal issuers across the country are in dire need of funding for critically important infrastructure projects such as roads, bridges, schools, mass transit, water systems, etc. The American Society of Civil Engineers has pegged the funding deficit of public infrastructure projects at more than $3 trillion. On the campaign trail and in his first year in the office, the President talked often about passing a $1 trillion infrastructure plan to “Make American Great Again.” So, we were very surprised when the plan was actually unveiled last month. It relies heavily on public-private partnerships and the strategic use of $200 billion in federal funding to generate $1.5 trillion in matching local infrastructure spending. We just don’t see it. The $200 billion in new federal funding falls far short of what is needed (and what was promised). And this comes on the heels of the federal tax cuts/tax reform, which included a repeal of an important tool for issuers (advance refundings) and changes to the tax code that resulted in a loss of a significant investor base in the muni bond market, specifically property & casualty insurance companies. The idea behind an infrastructure program is to stimulate new capital investments. A successful infrastructure plan therefore should provide scale and focus on speed. Move fast and build more projects than would be built in the absence of the stimulus. How? Boost funding, provide more tools not fewer, and use existing infrastructure investment channels. Keep an eye on The Fisc, as we will be focused on these last three components — the infrastructure “beef” that the country needs.